An important part of obtaining accurate diagnosis and a successful preventative treatment plan for hay fever is to dispel many of the myths surrounding this type of allergy. Myths are an unfortunate reality, which prevent people from seeking the advice of a doctor or pharmacist. They also hinder your ability to manage hay fever and affect how those around you view hay fever. Fact: Hay fever is a big deal and nobody deserves to suffer from hay fever symptoms. This can be one of the most frustrating myths because it affects how your friends, family and co-workers view your hay fever. While you're suffering from hay fever and struggling to handle your symptoms, others may think that hay fever is just a 'stuffy nose' and ' no big deal.' This is far from the case. 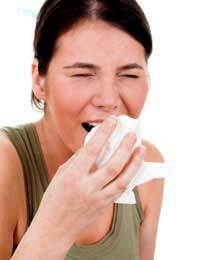 Hay fever causes missed days off work and school and affects a person's quality of life. From a monetary standpoint, it also costs businesses and the healthcare system a lot of money each year due to both treatment and sick days taken off work. Fact: Not only may childhood allergies persist as kids grow up, but they can also worsen, particularly if they are left untreated. This is one of the common myths about childhood allergies and it can prevent children from receiving the proper care and treatment for their hay fever. It's true that allergies can be unpredictable and they may indeed go away as children get older, but it's not the case for many children. Fact: Repeatedly exposing yourself to the allergen can actually worsen symptoms and lead to complications. This myth has developed, in part, from the existence of allergen immunotherapy. With this type of immunotherapy, however, your exposure to the allergen is controlled and done in a safe and effective manner. Simply drowning yourself in the outdoors when pollen counts are high won't improve your allergy symptoms. In fact, it will do the exact opposite and will make them worse. Fact: Trees and various grasses are actually the top offenders for hay fever. Flowering plants usually don't cause hay fever because the pollen in these types of plants is quite sticky and large. This means that it doesn't get carried along by the wind and thus, won't trigger a hay fever attack. Fact: Hay fever is a medical condition that is very much real and distressing for enormous numbers of people. Allergies such as hay fever still haven't gotten the proper recognition they deserve from the general public. There is a tendency to view hay fever as something 'in your head' or that it simply isn't anything worth complaining about. By taking your hay fever seriously, those around you will be more likely to similarly take it seriously. Fact: There are many strategies to handle hay fever and these include drug based treatments, alternative remedies and preventative strategies. By taking an active role in your hay fever management, you can complement the plan that your doctor or pharmacist creates. Many people mistakenly think that since they can't just completely avoid the outdoors, there's nothing they can do to treat their hay fever. However, by adopting simple strategies such as monitoring the pollen count and taking effective hay fever drugs as needed, you can enjoy your life without the irritation of hay fever. Fact: Hay fever is not caused by hay and it is also not a fever. This is an understandable myth because of the name, but hay fever is not a fever nor is it caused by hay. It is typically caused by exposure to pollinating plants and occurs primarily during the spring and summer months. Some of these myths may be new to you and if so, congratulate yourself on knowing the facts about hay fever. If you found that some or all of the myths were ones you had previously believed, you can also congratulate yourself on having dispelled these myths and having taken the first step to a better understanding of hay fever.